A handy pad packed full of 140 pages of activities to help children practise spelling, adding suffixes to a root word, and making plurals and compound words. The activities get gradually harder throughout the pad, and all the answers are at the back. 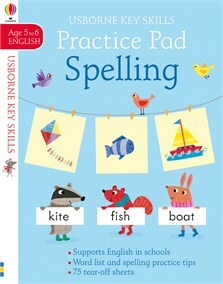 Part of the Usborne Key Skills series, supporting the English children learn at school.